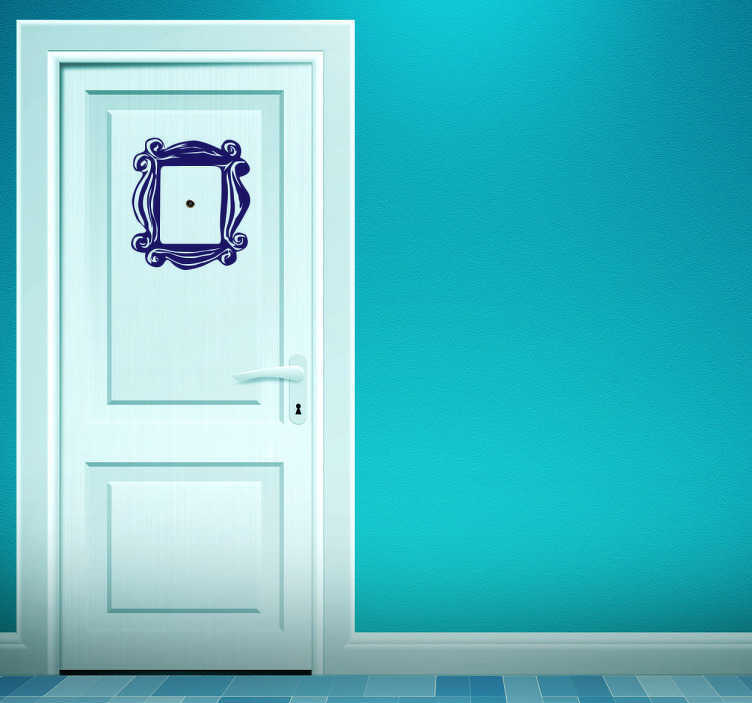 Room Sticker - Peephole frame theme. Decals great for decorating and styling your home. Inspired by the TV show Friends, this design is sure put a smile on your guests' faces. This exciting adhesive design is extremely easy to apply and does not leave a residue upon removal. Just pick the colour and size you like most and enjoy this economic alternative that will make your house the talk of your friends.